The RN-42 Bluetooth Module provides a reliable low-cost method for creating a wireless serial communication interface between two devices such as a microcontroller, PC, cell phone or another module. This module can pair up with devices supporting Bluetooth SPP (Serial Port Profile) to establish a serial interface. The RN-42 Bluetooth Module is breadboard friendly and is compatible with all 5 V and 3.3 V microcontroller platforms. 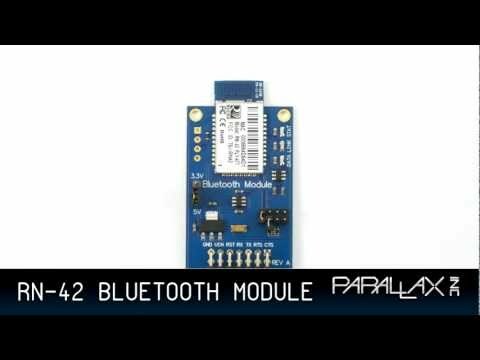 Visit the RN-42 Bluetooth Module product page for all the details.